We've rounded up our top island destinations in the United States—whether you love sunning yourself on the beach or getting immersed in fascinating history—with the help of our contributing travel writer, Charu Suri. The United States has its fair share of glamorous islands. Some are little-known enclaves of the jet set and some are stylish hotspots perfect for R&R. No matter how well they're advertised, these must-see island destinations are ready for you to get to know each other. Here are nine islands you don’t want to miss in the U.S. Located around 20 miles off the coast of Los Angeles, this special rocky island was quite wild until it was developed in the Jazz Age by William Wrigley, Jr. Named by Spanish explorer Sebastián Vizcaíno. Today, it flourishes with beautiful native plants—including chaparral and coastal sage scrub—and offers an array of activities and points of interest. Visitors can stay in several well-appointed hotels, including The Avalon, a lovely boutique property. Rates from around $200. This gated community of mansions includes a quaint selection of authentic Gullah homes as well, located on a private island between Hilton Head and Savannah. With its magical views of the harbor and the endless surrounding maze of Spanish moss trees, Daufuskie is arguably one of the most beautiful and relaxing islands in the south. Haig Point boasts a historic lighthouse that dates back to 1873 and the stately Strachan Mansion. Both accommodate guests in charming southern style (rates starting at $250 per night). Named after the automotive parts developer Carl F. Fisher, this glamorous island three miles off the coast of Florida has one of the highest per capita incomes by zip code in the U.S. And it has a fine pedigree, being once the family home of the Vanderbilts. Soon, other well-to-do families were inspired to vacation there. Today, travelers can book cottages or rooms at the Fisher Island Club—which counts the original Vanderbilt mansion as one of its luxurious accommodation options. Located in Lake Huron, this Michigan island was home to the Odawa people, who gave the island its name. Mackinac started attracting travelers in the late 19th century, and the entire place is now a National Historic Landmark. Set foot here, and you'll feel like you’ve stepped back in time in this charming village where motor vehicles are banned. It’s a delightful experience to have tea at the Grand Hotel, which has housed several U.S. Presidents as well as author Mark Twain. It also served as the setting for the classic movie, As Time Goes By. Rates from $345 per person per night. If you visit during the summer, you’ll be delighted by the island’s lavender festival. 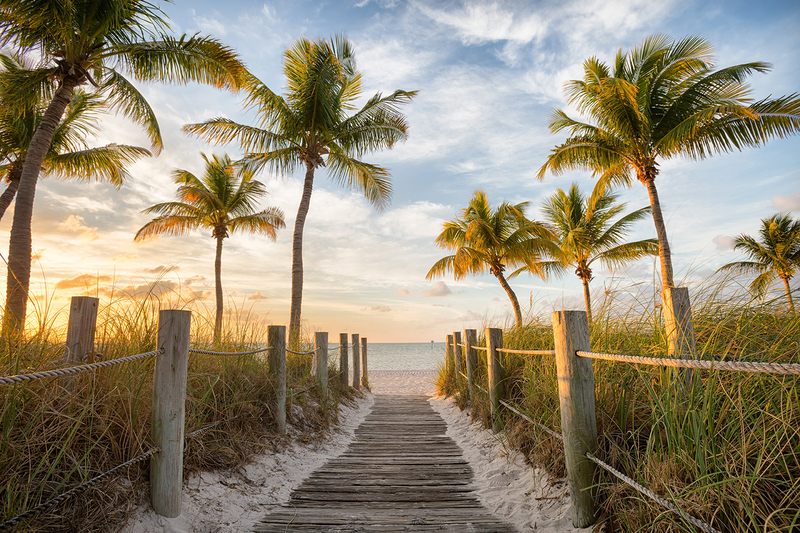 Key Biscayne, off the coast of Miami, is a less-touristy sun-soaked coastline that boasts a relatively untouched ecosystem to explore at Bill Baggs Cape Florida State Park. 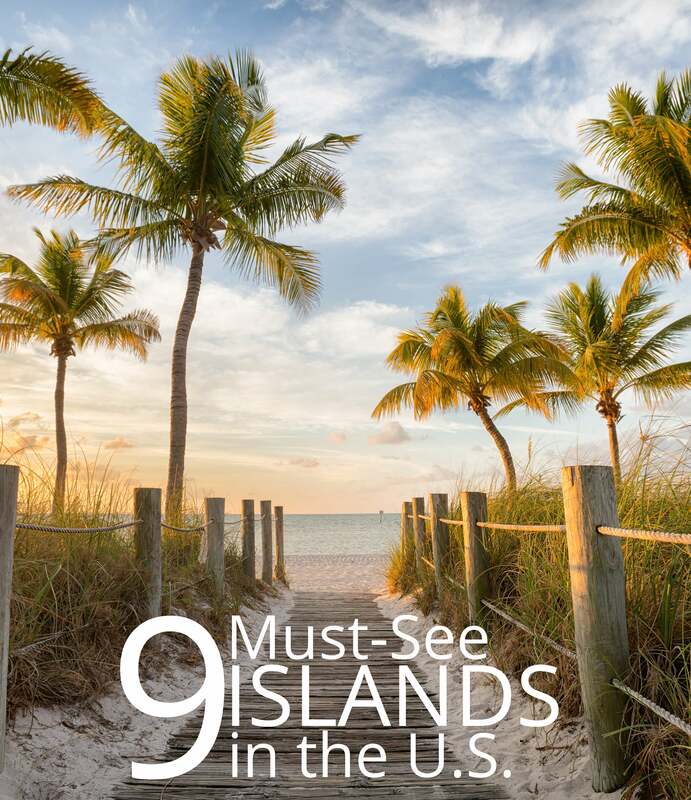 It’s one of those places that are truly hidden, with surprising biking trails, some of the state’s best bird watching, and the oldest lighthouse in the state of Florida. Stay away from it all at the Ritz-Carlton Key Biscayne, Miami. Rates from $799. Known as “the gathering place”, Oahu boasts some truly glamorous beaches—including Waikiki (which once attracted the kings and queens of the archipelago) and is a surfer’s paradise. Once visitors discovered the island, it became home to several large resort-style hotels from the Royal Hawaiian to Hilton Hawaiian Village. The island hosts the Honolulu Biennial, a contemporary art exhibition from March 8- May 5th this year. If you go, stay at the remarkably well-designed Laylow Waikiki, which has original patterned monstera leaf wallpaper designed by Portland-based OMFGCO…it makes for stunning Instagram moments. Rates from $219. Ideally situated between the saltwater wilderness of Everglades National Park and the Florida Strait is the often glossed-over village of Islamorada (considered by some to be the best-kept secret of the Florida Keys). It’s broken up into six islands, abounds with wildlife and lush vegetation, and feels like a true tropical sanctuary. Considered the “Montauk of Miami,” The Moorings Village is ideal for travelers seeking a private beach escape away from the more touristy Florida Keys. Guests stay in beautifully appointed private villas and can also enjoy “full-moon parties” on a private beach. While the tip of the U.S. gets some flack for being a party town, it is a beautiful place, filled with many literary museums—including the home of Ernest Hemingway and Tennessee Williams. The southernmost part of Key West is just 60 miles from the coast of Cuba, and it boasts some gorgeous resorts, including The Perry Hotel in neighboring Cow Key, and the Waldorf Astoria The Waldorf Astoria Casa Marina. U.S. citizens just need a driver’s license to access this territory, which has made a huge comeback since Hurricane Maria. It boasts the gorgeous, lush El Yunque Rainforest, which is filled with biodiversity. Visitors can also take a boat out to the surrounding islands (such as Culebra or Vieques), head west to the ex-pat surfing enclave of Rincon, or visit the coffee plantations of the central island. Stay at the trendy new O:live Boutique Hotel and the newly opened O:LV Fifty Five. Charu Suri has been exploring our planet for as long as she can remember. As a globetrotting travel journalist, Charu’s work regularly appears in Vogue, Condé Nast Traveler, The New York Times, WSJ, and Architectural Digest. She also manages to find the time to be an award-winning jazz musician and super mom. Keep up with Charu Suri (if you can) on Instagram and Twitter.